Benelli India has confirmed that it will launch the TRK 502 and the TRK 502X in India on 18 February 2019. The middleweight adventure motorcycles will be imported in CKD kits, the assembly of which will take place at the company’s Hyderabad facility. We expect to see the TRK 502 to arrive in the INR 5-5.5 lakh range while the off-road spec TRK 502X would carry a premium of INR 30,000-60,000. The Benelli TRK 502 comes with 17-inch alloy wheels on both ends while the TRK 502X (pictured) has rugged wire spoke wheels with a 19-inch front. 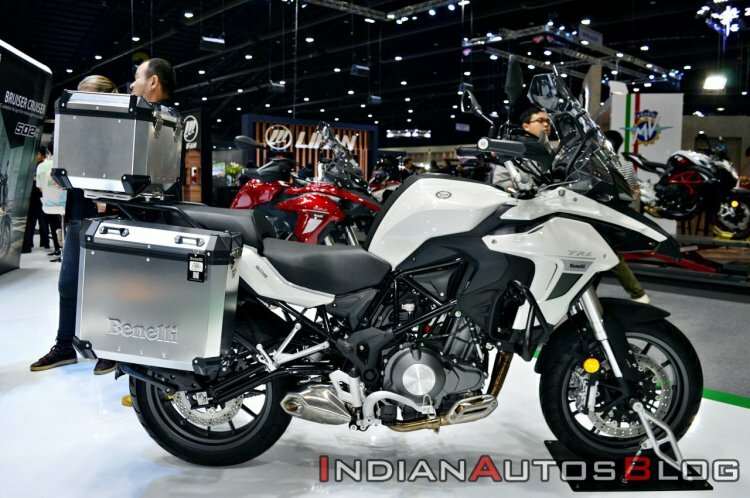 Motorcycle aficionados will also witness the launch of the highly anticipated TRK 502 (Tourer) and TRK 502X (Adventure) models in India, in the first quarter of 2019. The TRK range will also mark Benelli’s entry into the mid-capacity adventure segment in India, proving its legacy and unwavering philosophy of delivering high-quality products at competitive prices. The road-biased Benelli TRK 502 comes equipped with 17-inch alloy wheels on both ends that are wrapped in road-spec tyres. The off-road spec TRK 502 X, on the other hand, gets the rugged wire spoke wheels with a 19-inch front. Mechanical specifications are identical and both variants use the same 499.6 cc, liquid-cooled, 8-valve, parallel twin-cylinder FI engine that delivers 46 bhp of maximum power at 8,500 rpm and 45 Nm of peak torque at 5,000 rpm. The motor is paired with a 6-speed gearbox. 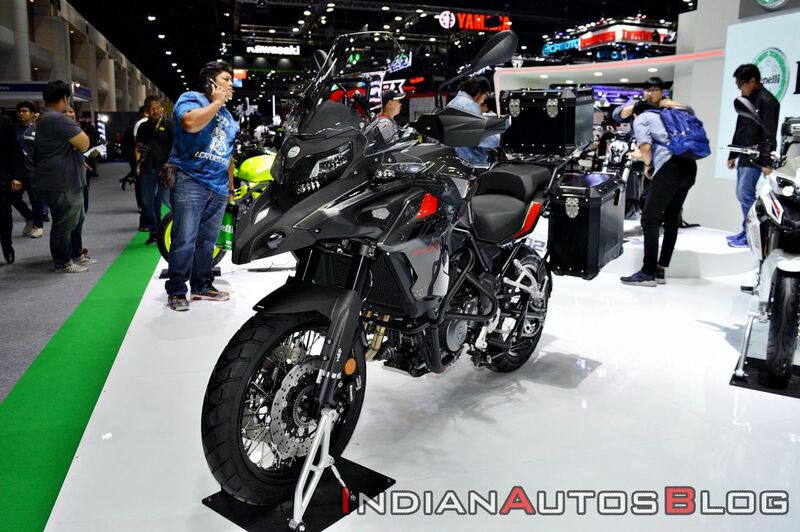 The TRK 502 will compete against the Kawasaki Versys 650 while the TRK 502X will rival the Suzuki V-Strom 650 XT in the Indian market. The road biased Benelli TRK 502 (pictured) is expected to arrive in the INR 5-5.5 lakh (ex-showroom) price range while the TRK 502X would carry a premium of INR 30,000-60,000. Regular readers would know that Benelli India has partnered with Hyderabad-based Mahavir Group after it parted ways with DSK Motowheels. The company has adapted to an aggressive after-sales service strategy for its second innings in the country. In October, Benelli India had announced a 34 per cent reduction in the prices of its aftermarket services. Moreover, the Italian bike manufacturer has increased the service intervals of its products from 4000 km/4 months to 6,000 km/6 months.